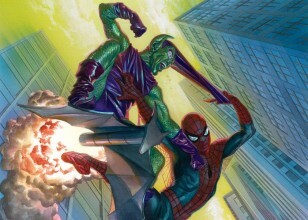 Norman Osborn was originally the ruthless co-owner of a leading chemical manufacturing firm based in New York City, which also had research divisions that dealt in other areas, including robotics. After having his business partner, Professor Mendel Stromm, imprisoned for embezzling, Norman Osborn tried an experimental formula of Stromm's that blew up in his face. 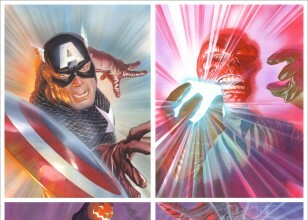 He nearly died, but discovered that the formula increased his intelligence and, presumably, his strength. It also drove him insane. 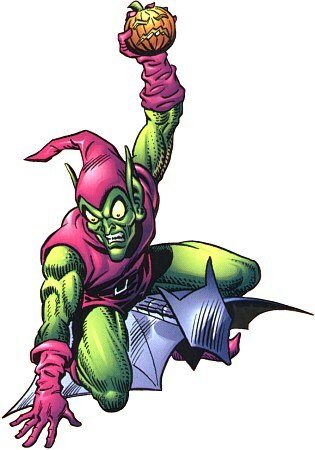 Plotting to become leader of the underworld, Osborn created his Green Goblin persona and decided to establish his reputation by killing the hero Spider-man.